A massive US-Israeli military exercise that was scheduled for this fall amid mounting concerns over an Israeli strike on Iran's nuclear facilities, might not be as grand as initially expected, with Washington deciding to significantly scale back on its participation in the drill, Time Magazine reported on Friday, citing Israeli and American sources. In January, the two countries decided to postpone the drill, but while it is expected to go forward this October – weeks prior to the presidential elections – it may not be the event expected. According to the report, the US slashed the number of American troops who were slated to travel to Israel by more than 60%; instead of the approximately 5,000 troops originally assigned to "Austere Challenge 12," as the exercise is dubbed, the Pentagon will send only 1,500 servicemen and perhaps as few as 1,200. The number and the potency of missile interception systems that were to be used in the maneuvers were also reduced. Patriot anti-missile systems will arrive in Israel as planned, the crews that can operate them will not. 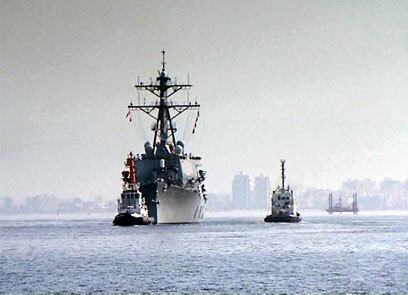 Instead of two Aegis Ballistic Missile Defense warships, only one will be deployed – and even that is uncertain, Time said, citing officials in both the US and Israeli militaries. The report postulated that a smaller US deployment may make it more difficult for Israel launch a preemptive strike on the Islamic Republic's nuclear facilities. "Basically what the Americans are saying is, 'We don’t trust you,'" a senior Israeli military official told the magazine. The official explanation was budget restrictions; however, the decision coincided with growing tensions between the Obama Administration and Prime Minister Benjamin Netanyahu's government on Israel’s persistent threats attack Iran. Israeli analyst Efraim Inbar told Time that the rationale for the retreat was quite clear. "I think they don’t want to insinuate that they are preparing something together with the Israelis against Iran – that’s the message," said Inbar, director of the Begin-Sadat Center for Strategic Studies at Bar-Ilan University. "Trust? We don’t trust them. They don’t trust us. All these liberal notions! Even a liberal president like Obama knows better." Assistant secretary of state Andrew J. Shapiro last November branded Austere Challenge as "by far the largest and most significant exercise in US-Israeli history." According to the report, the goal was to "improve interoperability" between American and Israeli anti-missile systems – which are already significantly linked. The US has intalled a radar in the Negev, pointed toward Iran and linked to Israel’s Arrow anti-missile system. While the radar is so sensitive it can detect a softball thrown into the air from thousands of miles away, only American officials are allowed to see what’s on the screens, a safeguard likely meant to prevent Israel from striking Iran on its own – after all, the US' equipment can detect an Iranian missile six to seven minutes earlier than Israel’s best radar. US Joint Chiefs chairman General Martin Dempsey told reporters in London this week that a military strike could damage but not destroy Iran’s nuclear capability, and added, "I don’t want to be complicit if they choose to do it." On Friday, the White House reiterated President Barack Obama's commitment to Israel's security, claiming that the US' ties with Israel have never been closer. "I can simply say that, under President Obama, cooperation with Israel between our military and intelligence communities has never been closer," White House Press Secretary Jay Carney told reporters. "Assistance provided to Israel by the United States has never been greater than it has been under President Obama." The Pentagon refused to comment on the report at first, but later said that despite the changes made, the US-Israel exercise will still be the biggest ever. The Pentagon further rejected the report as portraying the decision as a sign of US mistrust in Israel. "The exercise has not changed in scope and will include the same types of systems as planned. All deployed systems will be fully operational with associated operators." Miller said US-Israeli ties were strong and Austere Challenge "is a tangible sign of our mutual trust." A US official declined to say how many US personnel would be involved in the exercise but said the reported figures were wrong and the change in scale was far smaller than indicated. An Israeli defense official added that the drill "will be held on a similar scale as when it was last held, two years ago." The Israeli official said the size of the exercise initially was slated to be larger but added that "the changes are within the framework of the drill's requirements and nothing more." "These things are planned over a long time and changes are not uncommon," the official said. Miller said the exercise initially was planned for May but earlier this year Israeli defense officials approached the United States about shifting the date until the late autumn. 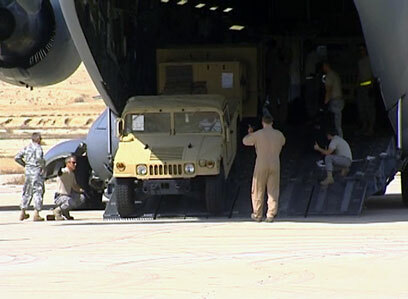 "When the exercise was moved, the United States notified Israel that due to concurrent operations, the United States would provide a smaller number of personnel and equipment than originally planned. Israel reiterated to postpone until late fall," Miller said. See all talkbacks "Report: US downsizes military drill with Israel"